Since its introduction at the beginning of the school year 2016 - 2017, we are pleased that our Holiday Club for 5 - 11 year olds at St. Luke's School, has proved to be very popular. 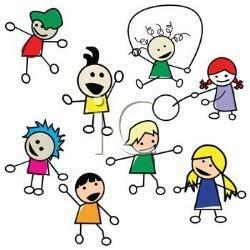 The club, run by Kate Jones, Jacqui Good and their team, provides childcare and a range of fun activities from 8.00am - 5.45pm during the school holidays. This is in addition to our existing Breakfast and After School Club provision. St Luke's Holiday Club for children aged 5-11 will be open during the first week of the Easter holidays, providing a range of fun activities, from 8.00am - 5.45pm from Monday 8th April to Friday 12th April. There will be lots of exciting activities happening, such as craft activities, treasure hunts, sport (depending on the weather and on the interests of the attendees). Early sessions run from 8.00am - 1.00pm; cost is £18 (includes breakfast and morning snack). Mid-Afternoon sessions run from 8.00am - 3.00pm; cost is £25 (includes breakfast, morning and afternoon snack). Full Day sessions run from 8.00am - 5.45pm; cost is £30 (includes breakfast, snacks and light tea). Places are limited to 16 and will be allocated on a first come, first served basis. Early booking is advisable to secure your child(ren)'s place(s). All sessions booked and not attended due to illness or for any other reason, are non-refundable. Please note that if you are booking sessions before the end of term, booking closes on Wednesday 3rd April. Any bookings that have not been paid for by Wednesday 3rd April will be cancelled.